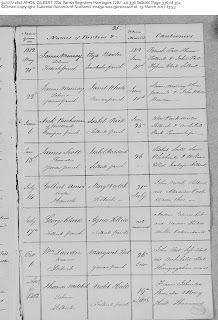 Libby on the Label: #52 Ancestors - Week 32 - "Youngest"
#52 Ancestors - Week 32 - "Youngest"
Margaret Ainslie Veitch was the youngest child of John Veitch and Barbara Ainslie Veitch. My Veitch ancestor was the ill fated Alison Veitch Park who I wrote about for Week 4 - "Invite to Dinner". They were sisters. Alison Veitch Park's husband, Alexander Park, died suddenly when he was 41. This left her with a huge bank debt and 10 children to raise, ranging in age from 3 months to 14 years. Alexander Park was a "Cautioner" at the wedding of my 5th great aunt, Margaret Ainslie Veitch, just two years before he passed away. The groom was Gilbert Amos, a lawyer and writer, the same occupation as Alexander. It makes me wonder if the two men were colleagues of some kind. 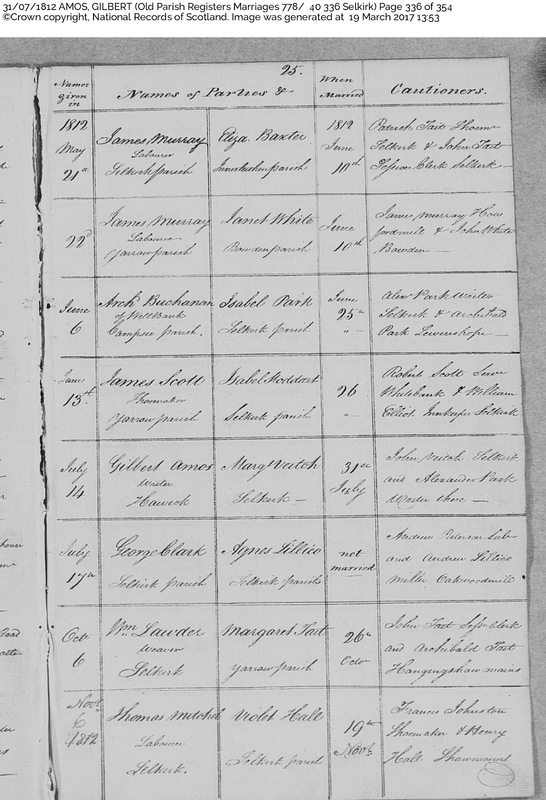 Gilbert Amos died just after his youngest child was born, around 1822, at age 32. The couple had 7 young children ranging in age from 9 to 1 years old. Several of the children emigrated to Ontario, Canada as young adults. My newly discovered cousin's ancestor was one of those kids. I had never known about the Veitch branch of the family tree before I started researching ancestry. I am very excited to connect with a relative who has an oral history of their stories. Her ancestors emigrated to Canada a generation before mine (in this tree branch). They ended up settling about 200 kilometres from one another, and I doubt they were even aware. How fitting that we connected on "Youngest" week!